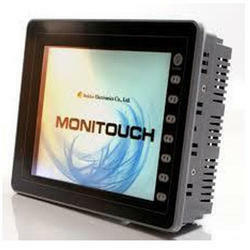 Wholesale Trader of a wide range of products which include monitouch hmi touch screen repairing services. We are affianced in rending Touch Screen Repairing Services in Delhi. We repair all leading brands Touch screen like Siemens, ABB, Allen Bradley, Schneider, Telemecanique, Delta, Proface, Monitouch(Fuji), Hitachi, Messung, Mitsubishi etc.These services are accomplished under the leadership of proficient experts who have rich Automation industry practice. These services are widely employed used fortouch screen repairing. Our service is completed in dissimilar form that meets on clientele demand.